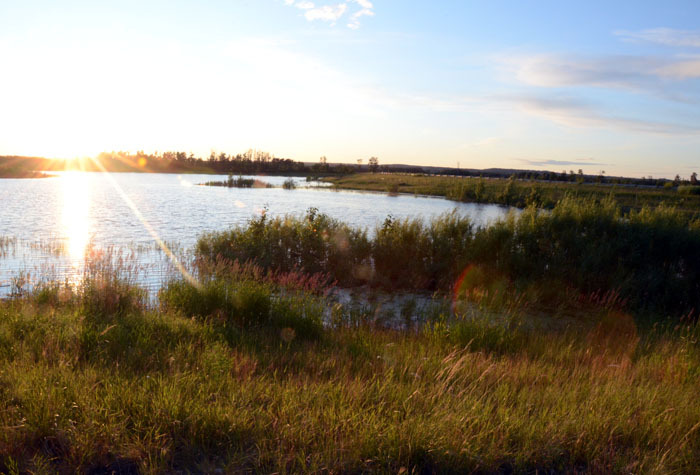 Mr. Amell was the principal environmental designer for an extensive pond, wetland and riparian habitat system located between Atim Creek and an interchange on Highway 16 serving the City of Spruce Grove. While providing stormwater management for the roadway and a nearby subdivision, the system provides over 40 ha of aquatic, riparian and marsh habitat. Based on the perceived public benefits of these amenities, the City of Spruce Grove has agreed to assume the long-term maintenance of this area. The habitat has developed substantial biodiversity and productivity, and is becoming a frequented area by Edmonton’s naturalists. Construction of this project was completed in 2005.